The invitation to the information meeting at the R.O.S.E. Community Clubroom states: “It’s clear that the area will be transformed and we want you, as local residents, to be involved in this process.” As for the first part of that sentence, we cannot argue with this. It is clear that the decision have been made, where and by whom is not entirely clear. 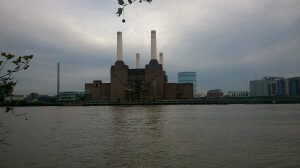 Maybe it was made by Transport for London, who want to build an extension of the Northern line. Or by the American diplomatic corps, who want to build their embassy in the area. 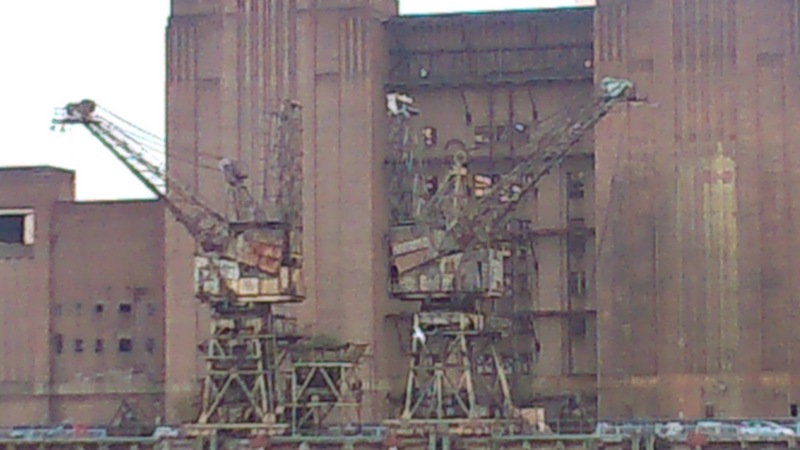 Or maybe by Real Estate Opportunities, the troubled owners of the Battersea Power Station. One thing is clear though, it was not the local residents who made that decision. There were some presentations, a short Q&A and residents were invited to sign up for updates on the regeneration. These updates may concern them, but they certainly don’t involve them in the decision making process. The event was well attended, with about 40 people filling all the available seating. 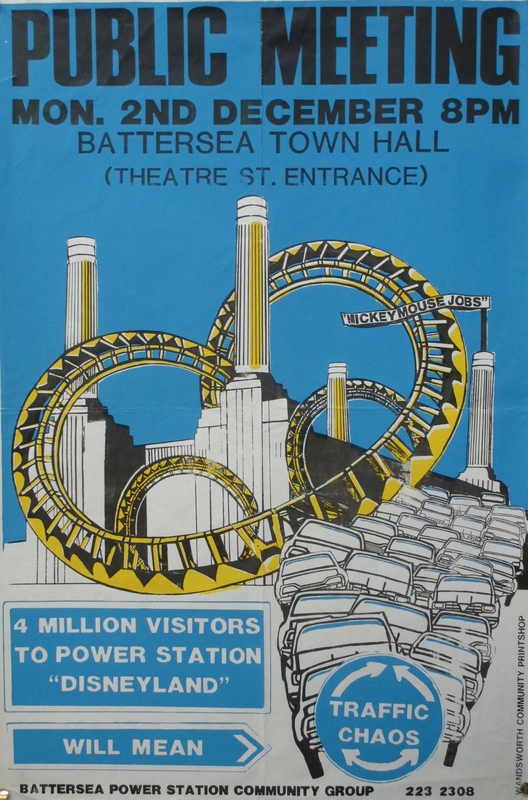 There were some displays with impressive looking posters illustrating the plans. There were drinks and nibbles. 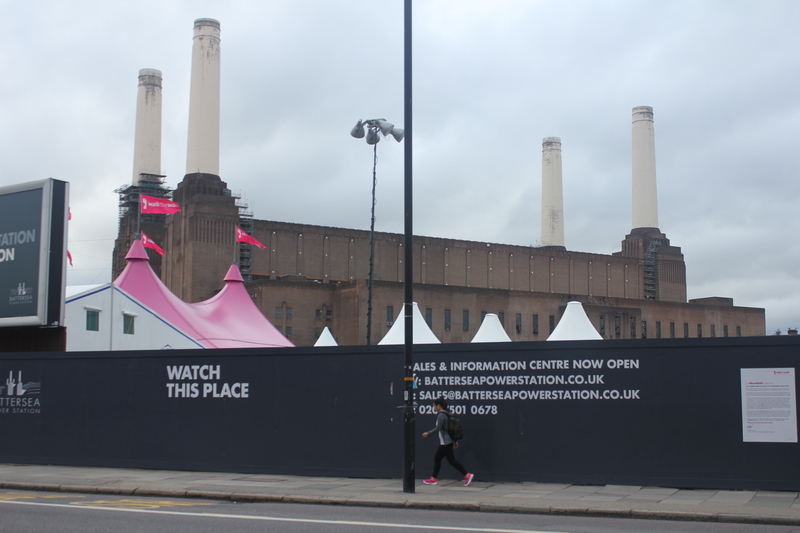 The plans involve 15,000 new homes and 25,000 new jobs. Those numbers are impressive. There are also plans to build one elementary school and one library. 15,000 homes and one school, the numbers don’t exactly seem to add up. Either someone needs to go to school to develop their mathematical skills, or the calculations are correct and the developers aren’t expecting many children to be raised in their new flats. Perhaps these new properties are being built to house so-called DINKS, or Dual-Income-No-Kids for those of you less familiar with yuppy terminology. Walking through the neighbourhood of the R.O.S.E. Community Clubroom with large estates and a wealth of playgrounds, you can see why the DINKS wouldn’t want to live here. As for the 25,000 new jobs, it is important to remember that there are already 12,000 jobs, mainly in the industrial area along Stewarts Road. In the presentation it was made clear that those industries would have to move. While at the same time vague promises were made to keep the industry in the borough (with no indication as to where it should go instead) and that an effort would be made “to preserve as much as we can”. Later in the meeting, discussing the lengthy period of 15-20 years the project is planned for, one of the reasons given for this extended span of time was the existing leases. Reading between the lines, this seems to indicate that the local industry will disappear. And we can subtract most of those 12 000 existing jobs from the 25 000 planned ones. 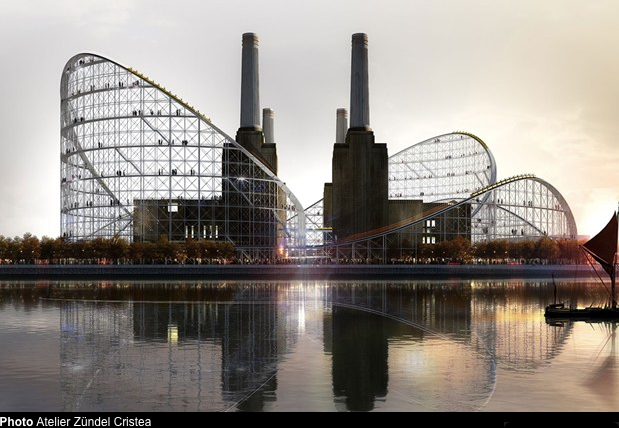 Now the two biggest prospective employees will be the American Embassy and the Battersea Power Station. 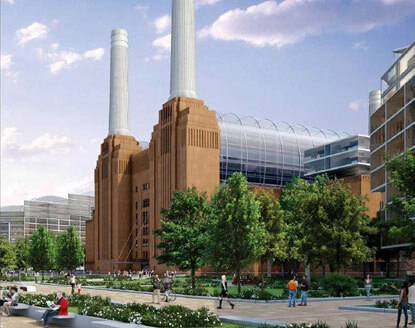 The American Embassy will bring their own employees and looking at the plans for th Battersea Power Station with up-scale office spaces, one cannot help but wonder how many of the industrial workers will find jobs in the planned (and not yet existing) offices. Now the construction itself will bring some work to the area. The number 40 000 floated through the room for a while, until a local resident pointed out that those 40,000 jobs refer to a period of 20 years in an industry where contracts usually don’t last any longer than 3 years. So this number is misleading, as it doesn’t mean there will be 40,000 jobs at any point in time. Also if you count each contract, one worker will be getting 6-7 3 year contracts. Each contract term is counted as a job, but calculating actuall employment numbers they are more likely to be around 6,000. Besides the number games there were whole presentations which merely seemed to consist of quoting a number of “documents” and “frameworks”, including the London Plan including “designated opportunity areas”, the “Opportunity Area Planning Framework”, “Local Development Framework, “Site Specific Allocation Document” and many more. Not having read any of those, I ended up more confused than in the beginning with an unsettling feeling of disempowerment: There is no way I will find the time to read all those, even less understand their terminology. But if I don’t, I won’t understand what it is exactly that is being developed and proposed. Referencing this mass of documentation had one effect only: dispiriting an delegitimising any opions or critiques by local residents and raising a windscreen of referential material that is cited as authority. Here the event resembled an excercise in exclusion rather than any real attempts at involving local residents or trying to set up a democratic and accountable process to find a solution that will actually respond to the needs of and benefit the local population. 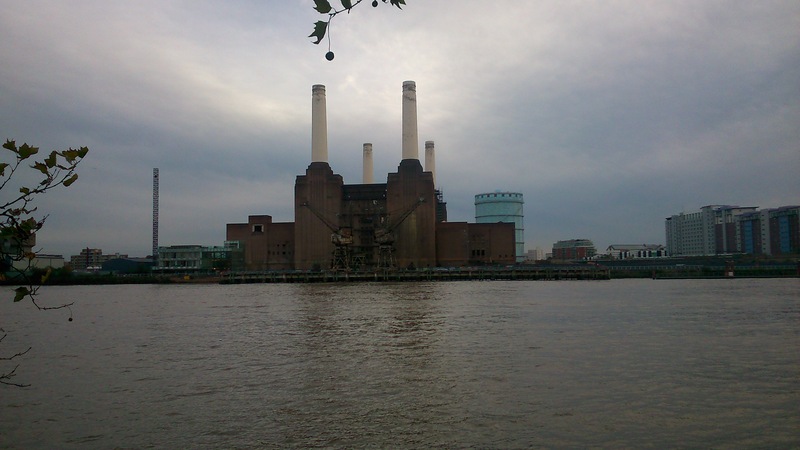 Now yet another very special London gem is under threat: Tideway Village and the Nine Elms Pier Boat Community may disappear forever, possibly as early as March 2011. Tucked away next to the Battersea Power station the 30+ houseboats with their inhabitants form a diverse vibrant community framed by old boats, water wildlife and nature, dearly loved and frequently photographed by passers by. 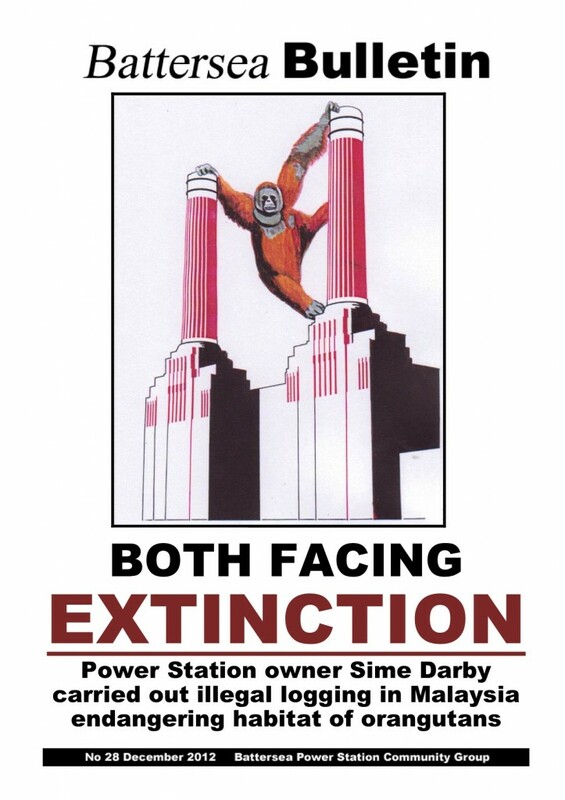 The current plans being submitted for the construction of ‘Tideway Wharf’ by St James (Berkeley Homes) proposes a development that would replace this special corner of London with cloned, soulless structures, erected in pursuit of profit at the expense of beauty and diversity. You can find out more about Tidway Village on their website, and sign the petition online. The question about how Climate Change was swiftly answered, stating that the whole project would be build to highest standards. 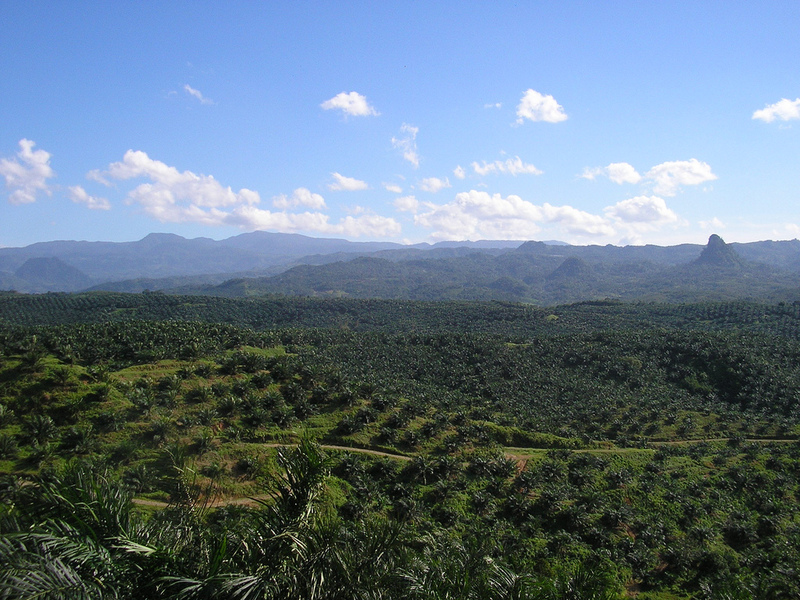 The question whether projects on such a scale can possibly be sustainable, remained unasked. 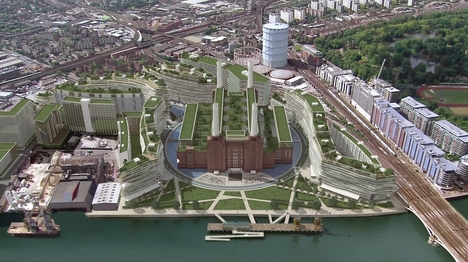 The point was raised that the proposal did not mention affordable housing and that it looked like local people were being “re-developed out.” The Save Shaker Aamer Campaign asked that the local council stand up for Battersea resident Shaker Aamer who is still being held in Guantanamo illegally. The question was raised whether it was right to invite the US Embassy into the borough, as long as Shaker Aamer ist still not home. The organisers had pointed out that the meeting was being recorded, and you could see quite a few staff sitting around the edges and scribbling hastily. They will be able to answer all questions and refute any criticism raised soon, it seemed like an excercise in preparing notes for future public debate, to be prepared for any objections that might come up.